Over the past couple of weeks the church has had a full architectural survey carried out by HMDW architects in order to set the baseline for the building monitoring that will be carried out over the next 3 and a half years with the Thames Tideway Project. It is a useful piece of work that has been undertaken as it has also highlighted priority areas for the conservation or restoration that will be required. 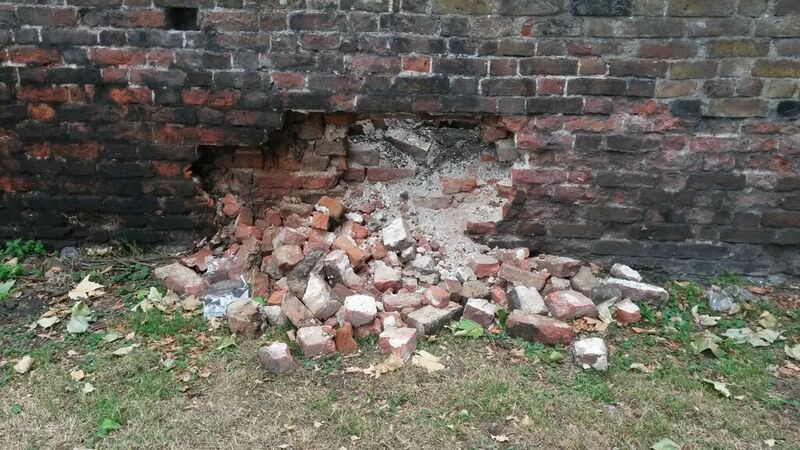 Sadly we had a few setbacks over the past week as there was vandalism caused to the East wall of the church graveyard. Fortunately a member of the Lewisham Parks and Green spaces was onsite for a meeting that day and was able to assist in this matter. Historically the church has had very limited incidents of vandalism in the past so this was quite unusual. Over the past 10 years the Rector of S. Paul’s has maintained all efforts in creating a safe and respectful environment in the surrounding church graveyard. Looking ahead this is another area that will be of focus and we will be in more conversations with Lewisham Council, who are responsible for the church graveyard. We met with the Thames Tideway team during the week to discuss the first phase of the project which will begin on the 27 July and be carried out over 3 months. This is part of site set up and will involve trial hand dug holes to check below ground level. From mid October/November the next phase will include the utility works, over a 12 month period. This work will include clearing the services (mainly fiber optics) on Church Street, to make space to a build interception chamber. These services will be moved to Crossfield/Coffey St.
Is that actual vandalism or natural deterioration of the wall due to frost or excessive water in the core?. The wall seems quite damp at the base. Has it been seen by a structural engineer?. Hi Claire, sadly this was an act of vandalism over a series of areas of the wall on one evening. It has now been repaired by the council.